Bulk Handling - Widnes, Cheshire and Liverpool..
A significant benefit for our Bulk Handling clients is having a public weighbridge and warehouses on site here. This is re-assuring for clients when they bring bulk product here or take bulk product away. 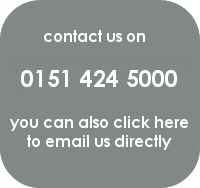 We can check-weigh all material so that you ensure that you only pay for the material received on site. Many clients in the area use this bulk handling facility to ensure that they actually receive what they pay for and that carriers leave for their destinations within the road legal limits. Bulk handled product coming in to our warehouses will be weighed, paperwork checked and then tipped into dedicated receiving areas and inspected. The bulk material can then remain there until it is again loaded out, or transferred to some type of packaging on your behalf. 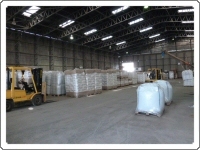 Depending upon the characteristics of your bulk handled material, we can either pack some of it ready for despatch or all of it, should the product be hygroscopic (able to draw moisture from the atmosphere) and store it within one of our warehouses. Our warehouses are all clean and dry with good working heights –an absolute necessity for bulk handling purposes. We have rigid controls to ensure that any maintenance required to the warehouses is carried out promptly to protect clients products at all times. All loads both in and out are arranged by first contacting our office, to ensure that drivers waiting times are minimised. We work with both clients and carriers to ensure that delays in our Bulk Handling processes are not an issue.